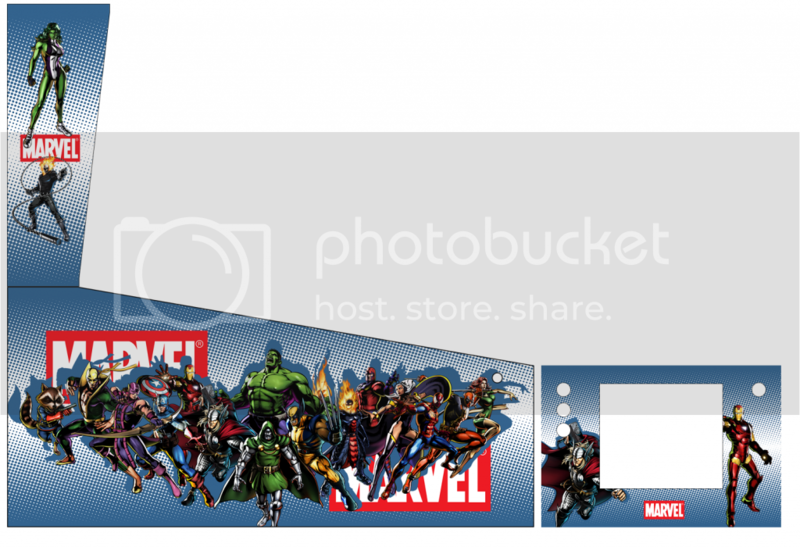 I have offered to help a friend with the artwork for his Virtual Pin build. He has been unsure of the exact art that he wants so I have started creating some various art. 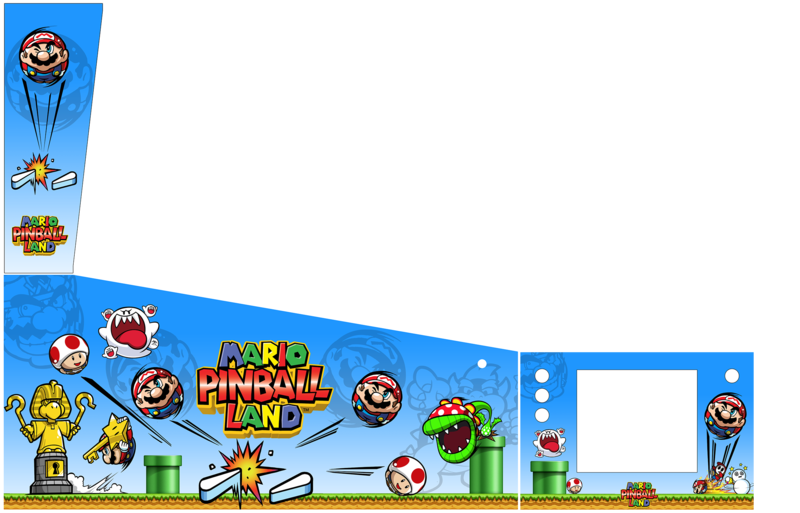 I have created these mainly to learn how to use photoshop and inkscape. Any artwork that is not used I may offer to the community for free if anyone is interested? All art is 300dpi at full size. Update: Forum keeps modifying the full links, so here they all are in one Link. The following artwork is provided as is. All images, logos and trademarks are the property of the original license holder. 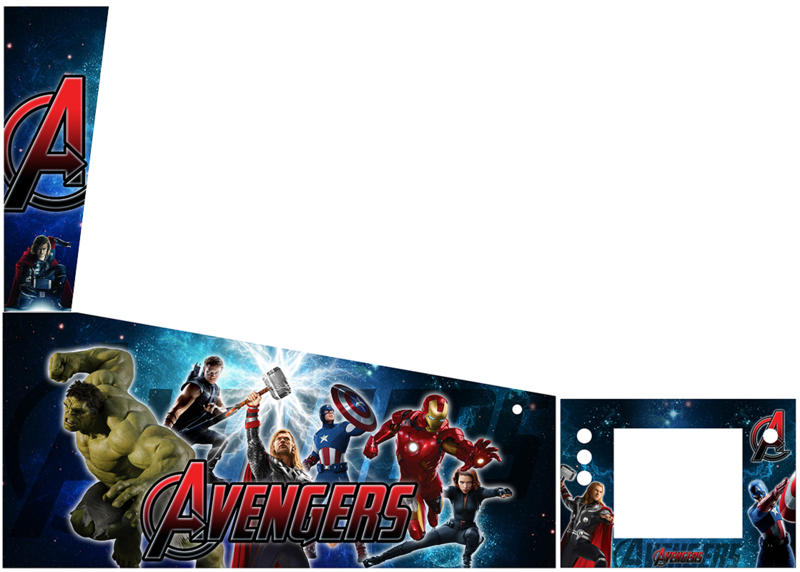 Artwork is fanmade and designed to be used on home DIY projects only. Artwork is STRICTLY FOR NON COMMERCIAL USE ONLY! Edited by stuzza, 05 September 2017 - 12:04 PM. 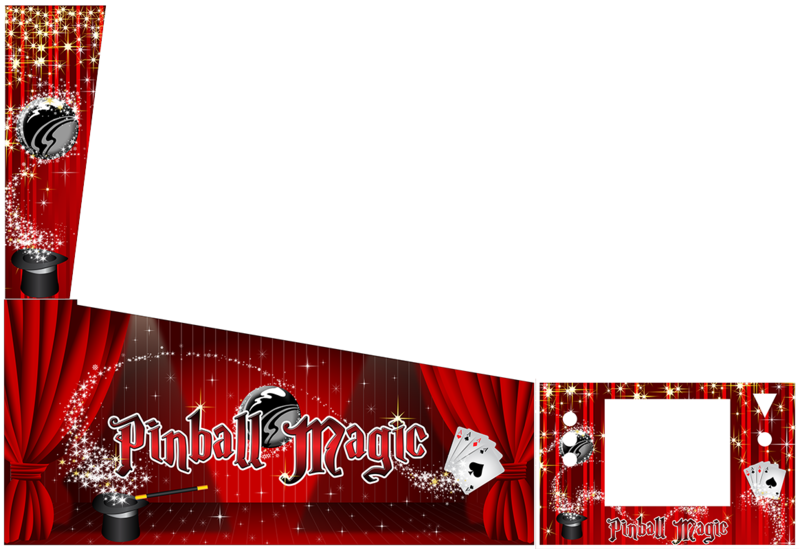 FREE High Resolution Pinball Artwork for your cabinet! Top notch work stuzza. 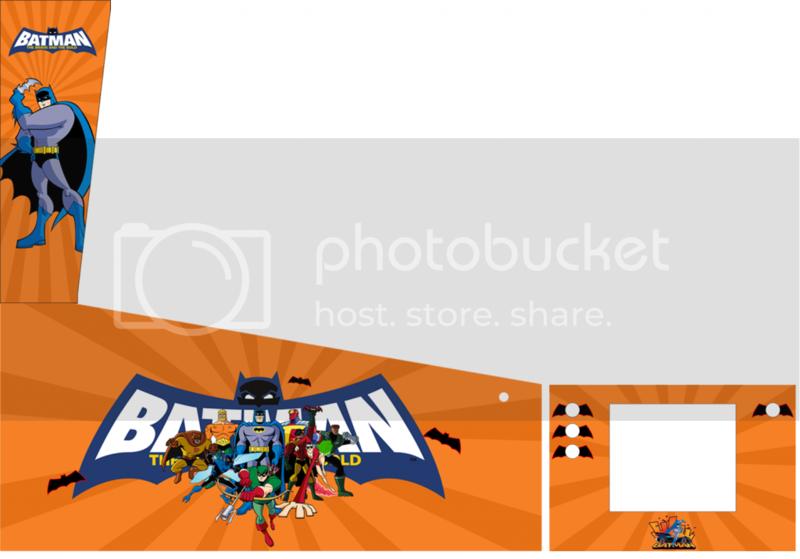 I love the retro Batman/DC Comics one. 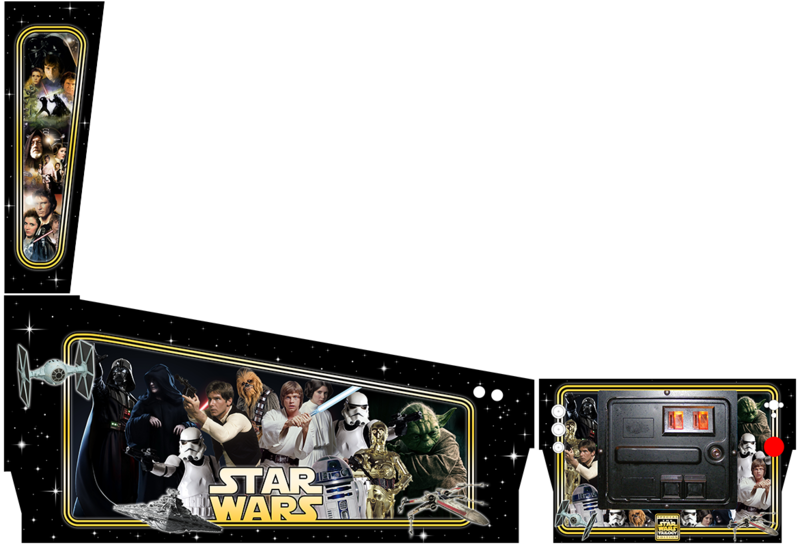 I am looking for inspiration for my Pinball build. This is a step in the right direction. 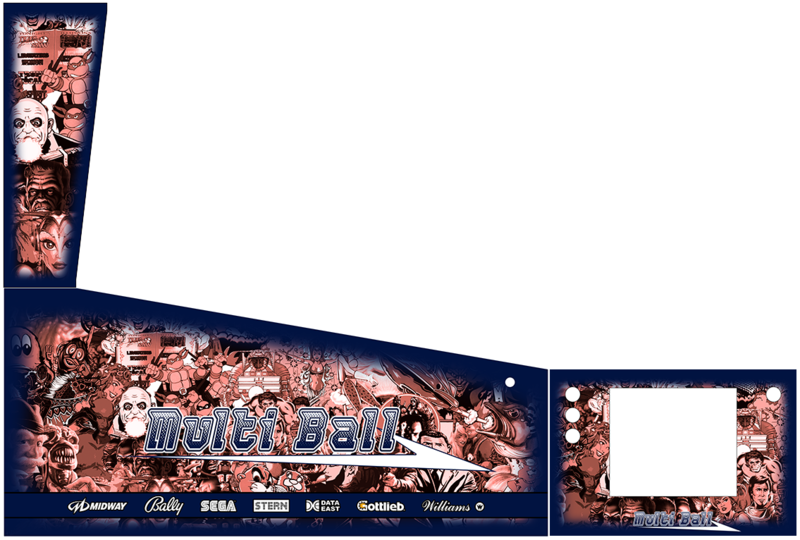 After careful consideration, I would love to order the Marvel version from you for my Williams Widebody project. Do you need dimensions? What is your fee? I would love to see a good star trek themed one maybe with a little artwork from all versions on 1..
Any artwork that is not used I may offer to the community for free if anyone is interested? Very generous of you! I have yet to come across a decent resolution or vector example of "freely" available cabinet art apart from the two available at the arcade art library. If you could provide a download sometime in the future, then that would be much appreciated. Here is another one. This one is all Vector. Click images for larger version. Edited by stuzza, 11 January 2014 - 03:55 AM. As you're into comic themes, what about a Spawn, Lobo or Judge Dredd one? I would love to download these theme. 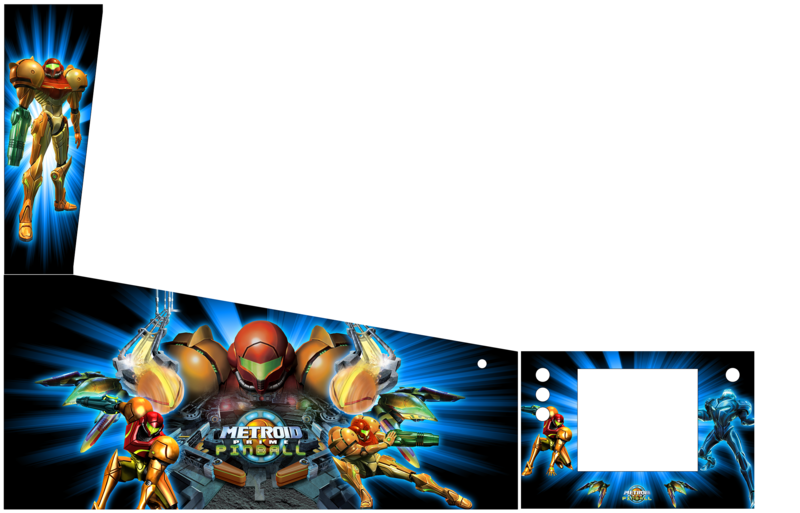 I want to start my own decal design and these theme will be a perfet starting point. Will be happy to download these Stuzza. 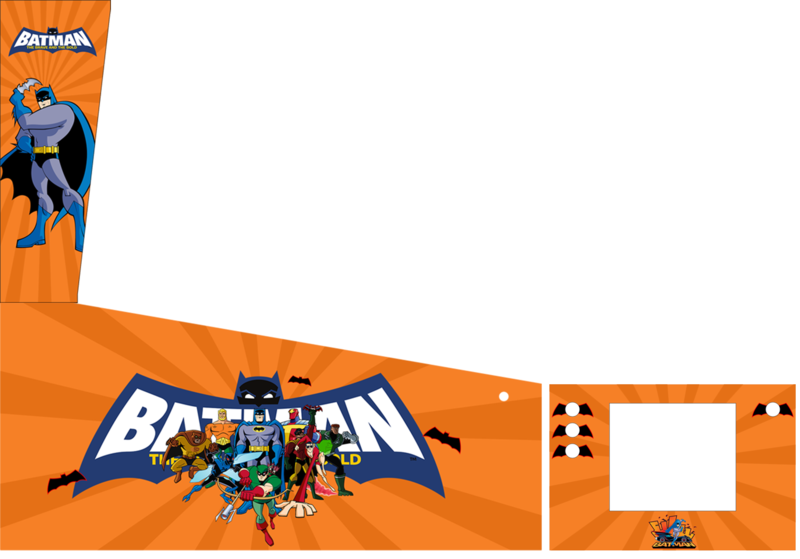 Here is a Scooby Doo themed sideart aimed more at kids (or big kids!). How can we download these theme in high resolution ? I have not made them available at this time. However, the good news is that after all these my friend has decided to go with a Watchmen theme, which means I can make all these ones available. What I need to do is sort out the sizes of standard size and wide body cabs so I can put them in the right size to upload somewhere. 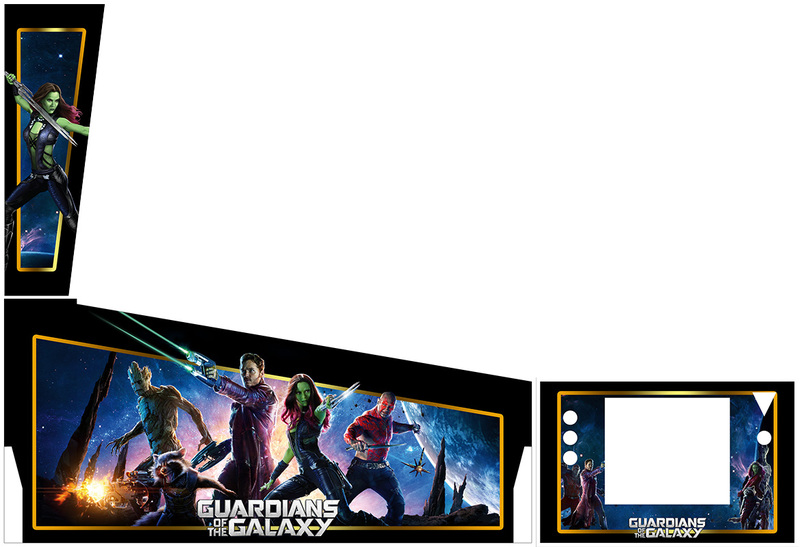 Unfortunately I don't think I can offer the editable files (for the Photoshop ones) as the files are just too big - for example the Marvel one for left side, back box and front is about 400MB. 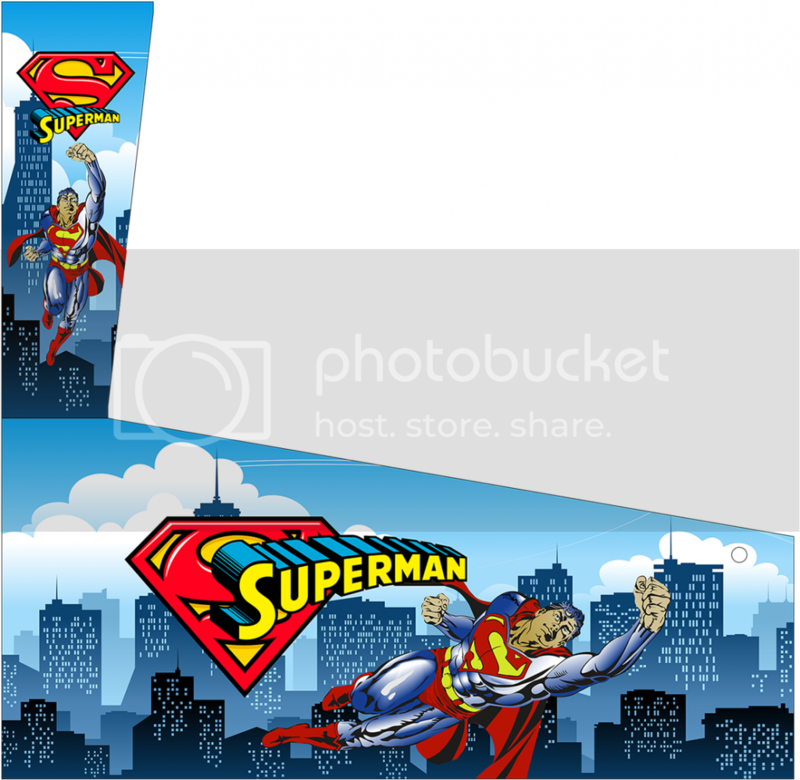 The two complete Vector ones (Superman and Scooby Doo) are only a few MB each for the SVG files so I can upload them somewhere soon when done if you like. 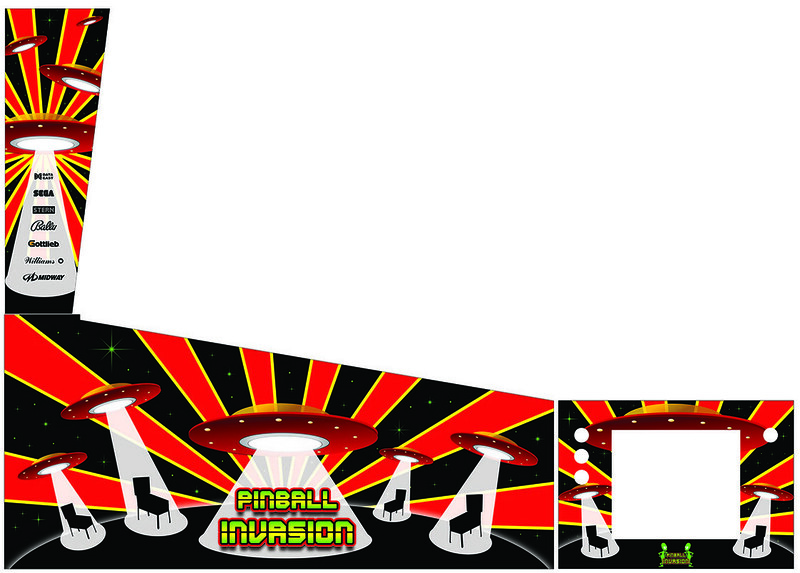 I would love to see these printed and actually used on cabs. 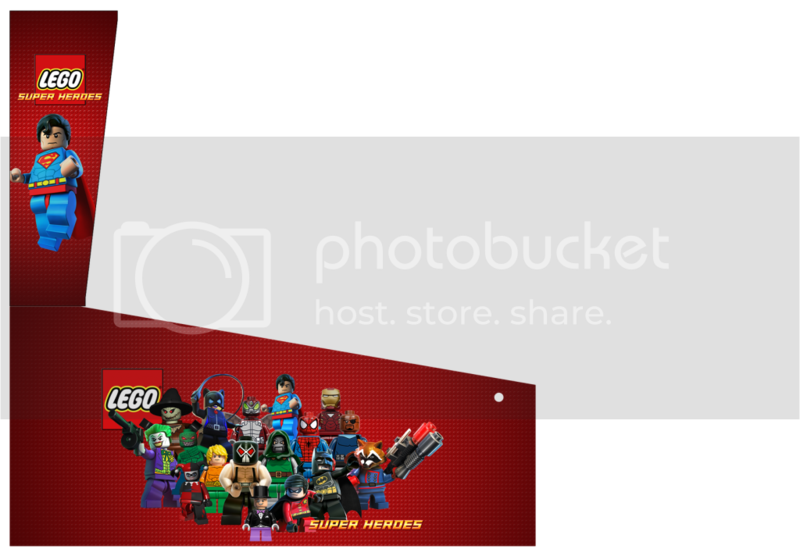 I know that it is very hard to find hi-res usable artwork that is free for a virtual pin. I appreciate all the fine art that is done by those talented artists you can pay to get some done, but it is nice to have free options! Do you think it's possible to share in a Microsoft Skydrive (you can have 25 free Go, it will be enought). I just checked my skydrive with my hotmail account and yeah apparently I have 7GB storage. Not sure where you get the 25GB Free? Anyway 7GB should be enough so this may be an option. Only problem is I'm in Australia and our upload speeds are crap so it would take me a while to upload them. I'll see what I can do. Let me know when you get the artwork uploaded (at least one) so i can start to work on something to make some tests. Thanks a lot Stuzza ! It appears the 25GB Free upgrade offers has finished for Skydrive. Nice one Microsoft! I've been using Hotmail since forever but never got offered the free upgrade. Miracle: I'll start uploading some today and see how it goes. I'll pm you a link to test when the first one is up. 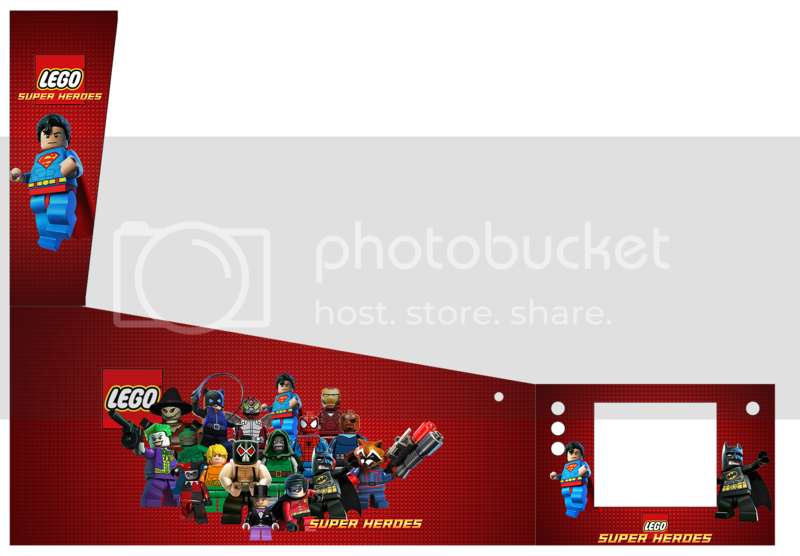 I have just zipped the Lego photoshop files and it comes to 270MB total for backbox, side and front. I'll upload from work today and see how long it takes. Obviously if you download these you will need some basic understanding of Photoshop to be able to edit them and modify to suit your own cabinet. All files were done in Photoshop CS6. Edited by stuzza, 14 January 2014 - 10:51 PM. I am now offering all editable artwork files for FREE to anyone who wants them. I have uploaded most of the Photoshop files and vector files to my skydrive account. 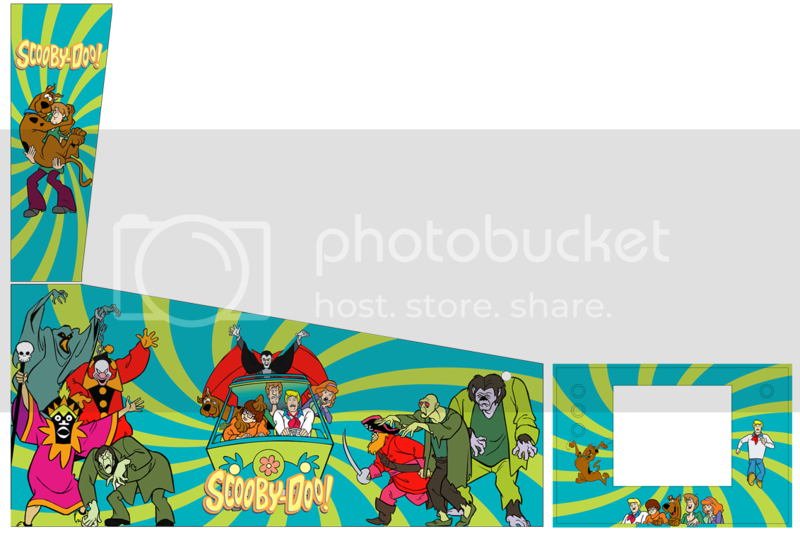 I have also added backbox and front art to Scooby Doo and Superman Vectors as seen below. All Photoshop Art was created in CS6 with documents setup in RGB 8bit, 300dpi as this is what my local printer always requests. I believe some printers prefer CMYK - I am unsure how this will affect those printers or whether they can be easily converted. I am by no means a Photoshop or Vector professional. I do this for fun. What you see is what you get. You will need to modify the files to suit the dimensions of your own cabinets. Shouldn't be too hard. All files currently have an outline of the cab I was using as reference. You can easily remove this by "unclipping" the art above this layer. Then delete the cab outline and replace with your own. You are free to use the art for your own Cabs and edit as you want, but please do not post links anywhere else without my permission. Also these are obviously NOT for commercial use! I may remove the download links at any time if need be. If you do get some printed Please, Please, Please post back here or message me pics so I can see some completed examples!! Thanks for making this great artwork available. I will post my custom artwork here. If there is still interest in more of these I may be able to provide some more that people can use. Here are a couple extra I have been working on. Again I have done these just to learn some more Photoshop techniques. Edited by stuzza, 17 January 2014 - 06:04 AM.